I started gardening this week!! Back in December, Peggy (who seriously should be a contributor to my blog since she provides me with so much blog fodder!) sent me this blog post from A Garden for the House about winter sowing. 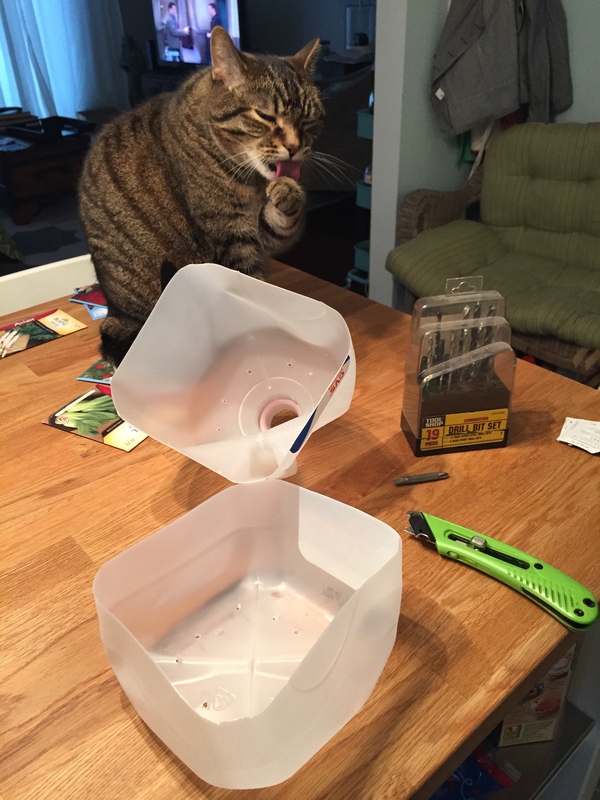 Neither of us had tried it before but we both found the idea intriguing. I always feel like it’s late summer before all of my balcony flowers are really in bloom and by then, it’s sometimes too hot and busy to enjoy them. And last year, I had my best balcony garden but I also spent more than I normally do on flowers because I was addicted to having a lush, full garden. (I didn’t break the bank or anything…it was just more than usual.) Hopefully, if this winter sowing thing works, I can get a jump start on gardening, and I can start more things from inexpensive seeds instead of buying a lot of full-grown potted plants this year. Winter sowing involves planting certain types of seeds in winter and keeping them outdoors in little protective “greenhouses”. Depending on your zone, you can plant perennial and hardy annuals as early as January. I waited until Tuesday (March 3) to start planting, so I planted some tender annuals, too. This blog post tells more about what you can plant when. I worked on my winter sowing in my kitchen on Tuesday afternoon. 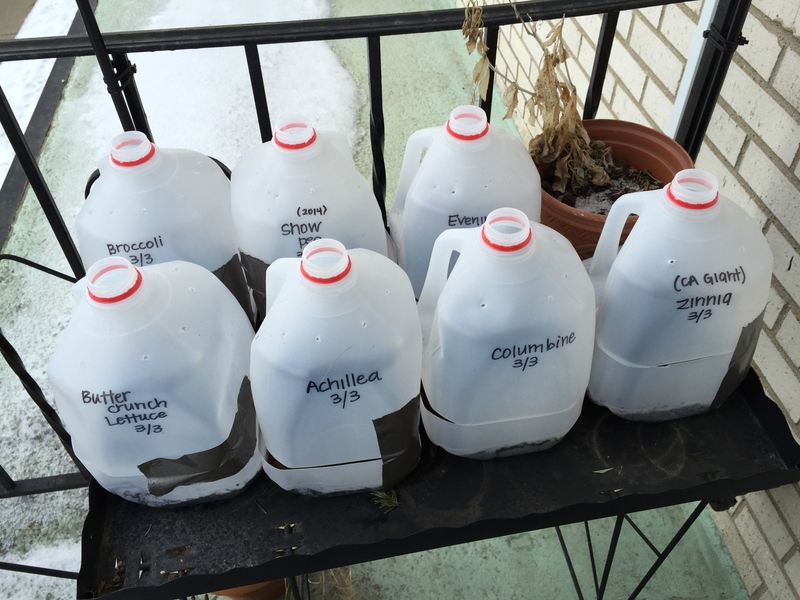 For my greenhouses, I used distilled water jugs that I’ve been collecting all winter. (Naoto has been very suspicious of this “garbage collection”.) I drilled ventilation holes in the top and drainage holes in the bottom of each one. 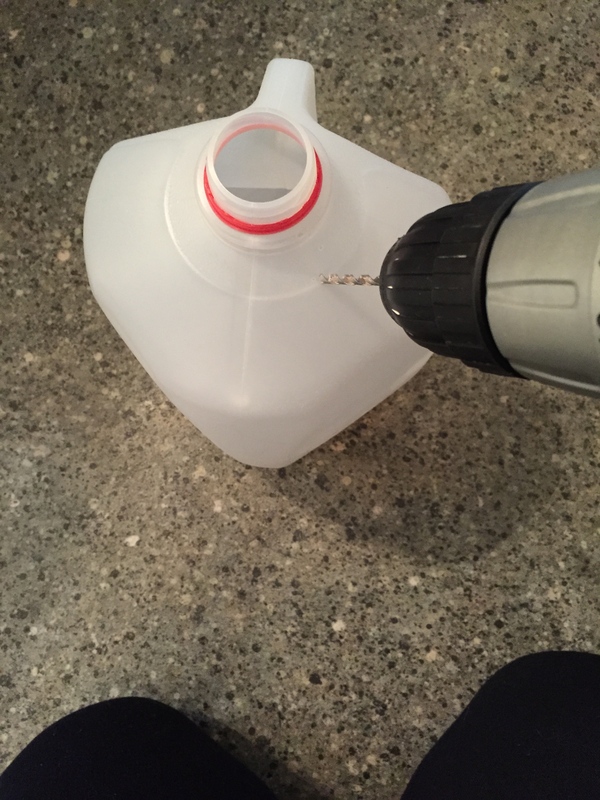 Then I cut around the middle of the jug, leaving a little hinge underneath the handle. (Presley decided to take a bath while this was happening.) 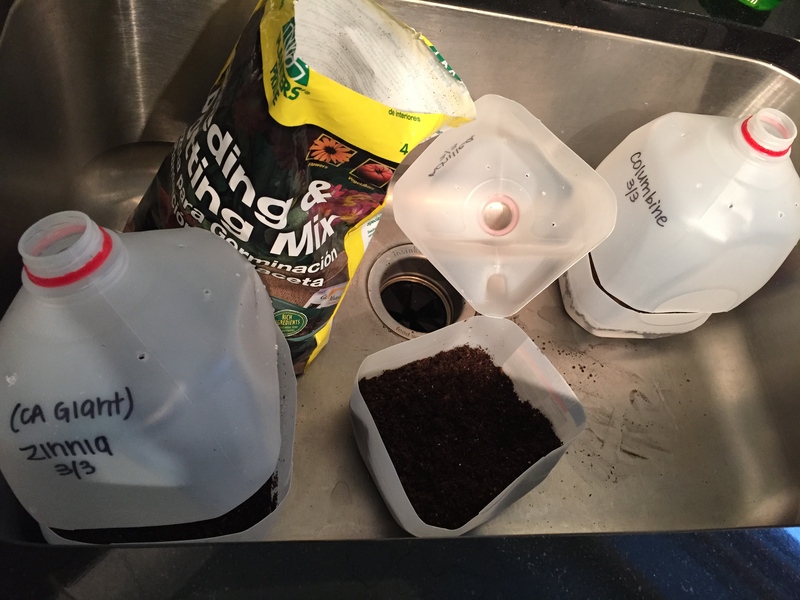 I worked in my kitchen sink, filling each jug with a few inches of soil. Then I soaked the soil with running water and let the water drain out into the sink. After that I planted my seeds, one type per jug, labeling as I worked. I only made it through seven jugs before I ran out of soil, but I’m hoping to run out today and buy more so I can finish the job this week. So far, I’ve planted broccoli, snow peas and lettuce in preparation for our community garden plot. And I’ve planted Evening Primrose, Columbine, Zinnias, and Achillea for the balcony. I have at least ten more potential seed packets waiting for winter sowing, depending on how adventurous I feel. I put all of my seeds outside on the balcony. (I’m hoping my neighbors do not complain about the unsightly water jugs…condo living is challenging sometimes.) The seeds are sharing a table with my perennial sedum for now (which looks dead in the top picture, but I promise it’s just resting). That table gets the most sunlight and it gets snowed and rained on, so I figured the seeds will have the best chance there. For now, I wait…the hardest part of gardening! It’s quite a good idea. I finally have the chance to make a small balcony garden in my new place and I have big plans for next year. I moved recently, so the only thing I could do was to buy some flowers for my new window boxes and to plant a small herb garden with ready to be planted seedlings.I’m planning to add some greens and vegetables next year and the distilled water jugs are a good seed starting idea. Thanks for the hint!